Satisfy your chocolate craving with this crispy, low carb bar coated with chocolate containing 15 grams of protein and 5 grams of net carb. 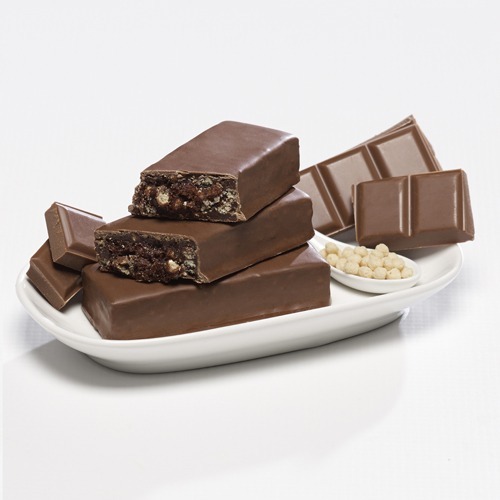 This crunchy, chocolaty bar is an excellent source of protein, has 5g net carbs and is a big hit! Try this crispy protein bar, compatible with your weight loss program. It is part of our VLC line – Very Low Carb.